As part of this endeavor, some transportation companies have created a new department called Fleet Services. Another strategy is to create a new business that provides the fleet with full-service contract maintenance that is subsidized by revenue from work performed for third parties. In both instances, fleet maintenance is often given additional responsibilities that may include managing fuel purchases, equipment procurement, vendor management, data analytics and working with other departments on continuous improvement projects. 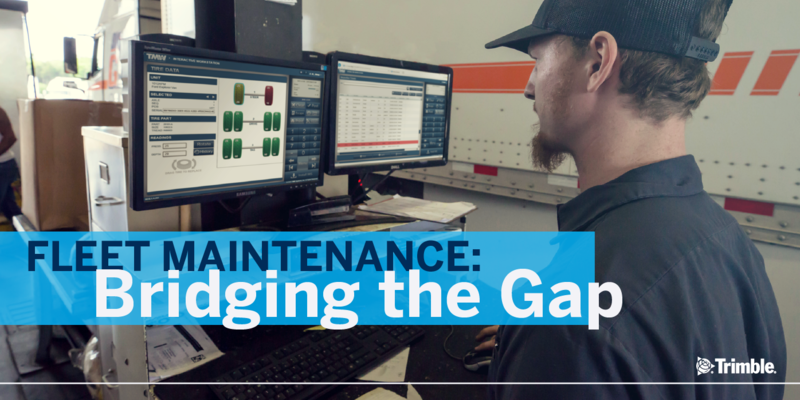 New investments in technology also help to elevate the status of fleet maintenance by breaking down information silos and delivering new insights to managers at all levels. Should a fleet choose to run a shop as a separate business, maintaining connectivity to the business as a whole is critical to achieve maximum rewards. Leonard’s Express established a sister company that provides its family-owned transportation business with integrated, full-service fleet maintenance. Johnson Equipment, the sister company, buys tractors and trailers and leases them to Leonard’s Express for a monthly, mileage-based rate. Any work that is not covered by the contract is billed separately, such as accident repairs. Johnson Equipment also purchases on-site fuel that is stored at its shop in Farmington, NY, which doubles as the headquarters of Leonard’s Express. The maintenance company bills the fleet for the gallons used, which amount to about one-third of its total fuel spend. Another value-added service provided by Johnson Equipment is leasing trucks to owner-operators that contract with Leonard’s Express. For this and other transactions, the company shares data seamlessly with the fleet. Invoices for the maintenance of leased equipment, for example, are exported to the accounting system of Leonard’s Express to automatically deduct them from driver settlements. Additionally, the company supplements contract maintenance with revenue from third-party carriers and is moving towards a goal to have revenue be split evenly between contract and third-party maintenance. The third-party repair work is exported as invoices from its Trimble Asset Management Solution (AMS) to its accounting system for billing and accounts receivables. The company’s Trimble AMS records all maintenance costs per mile by equipment year, make and model. Equipment mileages are updated automatically in AMS through connectivity with the fleet’s telematics system. Another integration feeds defects noted by drivers in electronic driver-vehicle inspection reports (DVIRs) directly into AMS to create repair orders. For tractors, equipment maintenance costs are approximately $0.02 per mile in the first year and increase to $0.07 in the fourth year, says Kevin Adriaanson, Vice President of New Business Development, whose duties include managing sales and spec’ing, buying and selling equipment. Johnson Equipment replaces trucks on a four-year cycle and keeps its van and refrigerated trailers for seven to 10 years, he says. With the AMS system giving visibility of cost-per-mile data, the company is able to accurately and fairly adjust contract rates periodically with Leonard’s Express, Adriaanson says. The fleet’s visibility covers more than cost data. The shop exports equipment PM service schedules directly from AMS to Trimble’s TMWSuite, the dispatch and transportation management system used by Leonard’s Express. This gives the operations team instant visibility of equipment that is coming due within their load planning screens. “Visibility is a big thing for us. We are trying to give it to everybody right now,” says Susan Dubler, Vice President of Operations. Setting up Johnson Equipment to act as both a stand-alone and fully integrated fleet maintenance service provider has been financially rewarding. Its shop rates are subsidized by outside revenue, making it possible to offer full-service maintenance to Leonard’s Express at a significantly lower price than any of its competitors. “For our asset company we are pretty good deal,” Dubler says. 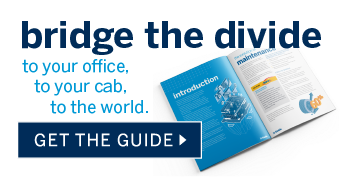 Download our free guide, “Bridge the Divide” to learn about how other transportation companies have elevated the status of fleet maintenance, and are adding value to the business enterprise. To be entered in our special drawing for $500, assemble your leadership team for a meaningful conversation and demo.